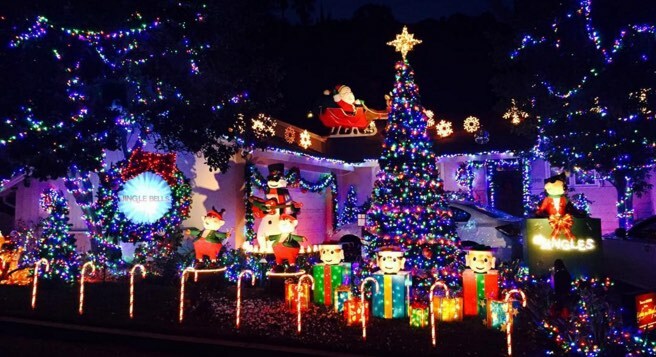 Sherman Oaks resident Mike Ziemkowski’s elaborate Christmas themed animatronic characters will return once again with Lights on Display a dazzling light show with a playlist of holiday tunes. Free to the public, the show runs November 23, 2018 every night from 6 to 10 p.m. through January 1, 2018. The 13 minute show takes place on the lawn of 3901 Longview Valley Rd, Sherman Oaks, California. All visitors should keep in mind it’s a residential neighborhood so you may have to park further up the street or on adjacent blocks if you want to walk over to watch. Inclement weather may cause the the display to close on certain days. We recommend checking the Lights on Display Facebook page for announcements regarding weather related closings and any updates on performances.